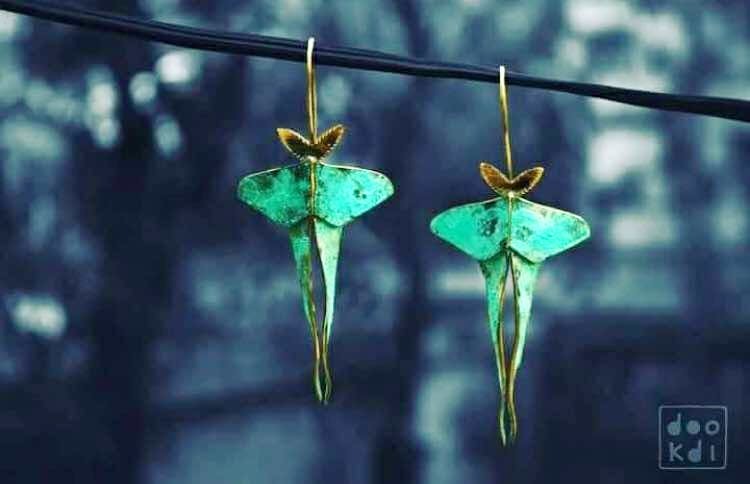 Insects that creep us mostly inspired this designer to create stunning wearable metal jewellery for her brand 'Dookdi'. The name literally means 'a pair’. It is about a pair, which is similar, but not always the same, just like a couple. The sculptor and artist, Jinal, draws inspiration from nature and she's come up with various collections like the moth, keeda, fauna, beej, and many more. She makes wearable forms which are inclined towards slight distortion playing with order-disorder, symmetry-asymmetry, and celebrating and enhancing the duality which exists in anything organic. A far cry from the usual predictable stuff, Dookdi makes raw and rustic pieces uniquely handcrafted and experimental in form and texture. Currently available through their Facebook page or at the Nimai Store, Shahpur Jat.